Galway United face a tricky SSE Airtricity League first division assignment against unbeaten Longford Town at City Calling Stadium on Saturday (7.30pm ). 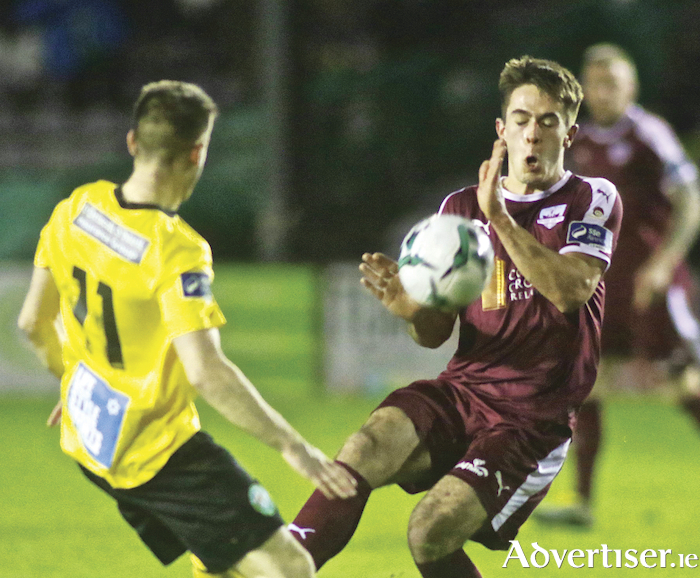 Last Friday’s Eamonn Deacy Park clash with Bray Wanderers ended in disappointment as United’s challenge was repelled by the table toppers, who secured a narrow 1-0 win. It was a setback for a youthful United outfit, who will be anxious to produce an instant response in the midlands. Longford, though, are a decent footballing team under Neale Fenn, and a solid effort will be required from the visitors. A couple of defensive lapses in concentration were ruthlessly punished by Bray when Dean O’Halloran pounced to score the only goal of the game, but manager Alan Murphy was not satisfied with United’s display. “It was really below par performance wise,” Murphy says. “Application and hard work was no problem, I have no issue with it. I think we worked really hard and the endeavour and effort was no problem, but a little bit lacking in terms of our shape and execution of the plan. “I think we were a little bit off, we didn't have that bit of X factor and we didn't keep the ball well enough. United home fixtures have culminated in defeats to Shelbourne and Bray, who are regarded as the clubs most likely to earn promotion. “There is a gap at times and no gap at other times, that is the problem,” is Murphy’s assessment. “That suggests there is a gap because the performance is up and down. It is harsh because it is a set piece and it is harsh against Shels because it is individual errors again. “It is that tuning out or maybe you'd call it the seasoned type of players, who won't tune out, they will be just seven or eight out of 10 in terms of their job, that will be it. “We don't have that, but we are there for a reason. We will learn from it and I think we did learn from Shels, we went to Wexford and we did well. “We didn't display our talents as much as we should have [v Bray], that is the disappointing thing for me. The result is obviously disappointing, but the fact we didn't create that much or look a threat was disappointing for me. Davoren’s guile should assist a developing United side, who will be striving to deliver in the midlands.